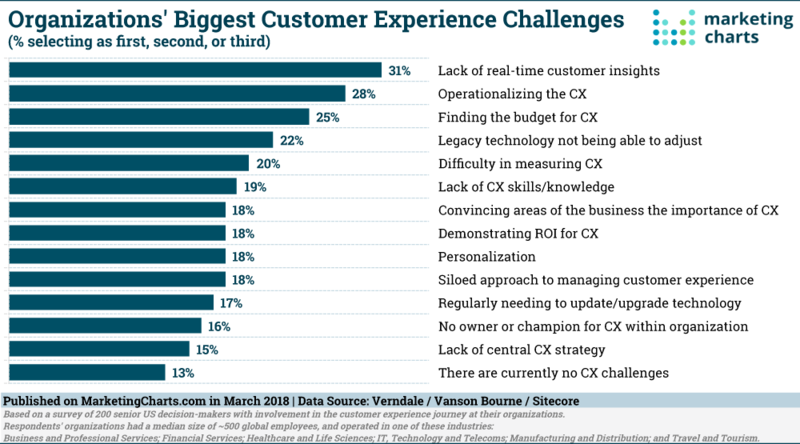 Great CX is not just a team sport—it’s a cross-team sport that requires a company-wide commitment to customer centricity in order to get right. In fact, we’d argue that the goal should be for all members of your organization to consider themselves “guardians of customer centricity” in one way or another. 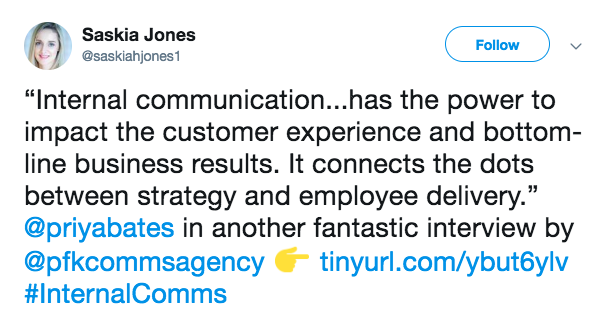 That is, all of your team members should be laser-focused on doing their part to ensure that your company’s customers have a streamlined and valuable experience with your brand, every single time. In this article, we’ll talk about the 3 steps your company needs to take to create a truly customer-centric organization, in which every single member of your team plays an essential role in the customer experience provided by your brand. Consumers don’t want to do business with a company that provides a less-than-stellar customer experience for very long. Of course it’s important to provide a positive customer experience. That’s kind of a no-brainer, right? On top of all this, 21% of companies say focusing on customer experience is the most exciting area of opportunity for their business. And marketers agree that by 2020, customer experience will be the key differentiator between brands. But despite customer centricity being widely valued, most companies are uncertain about how to get started. In fact, only 57% of B2B companies that say customer experience is “very important” actually end up reporting gains in CX over time. In other words, even though most B2B companies know how important it is to provide a cohesive experience to their customers, almost half of them find it challenging to actually do so. Even among those who have made progress, many have made only minor strides overall. It’s essential to realize that any changes and improvements made to an organization and its processes in the name of enhancing customer experience must go deeper than the surface of things. That is, becoming customer-centric isn’t about “faking it ‘til you make it.” The commitment to providing an excellent experience to your customers must run deep throughout the entire fabric of your organization. Now, let’s take a look at three essential steps to take as you continue to shift your organization toward customer centricity. 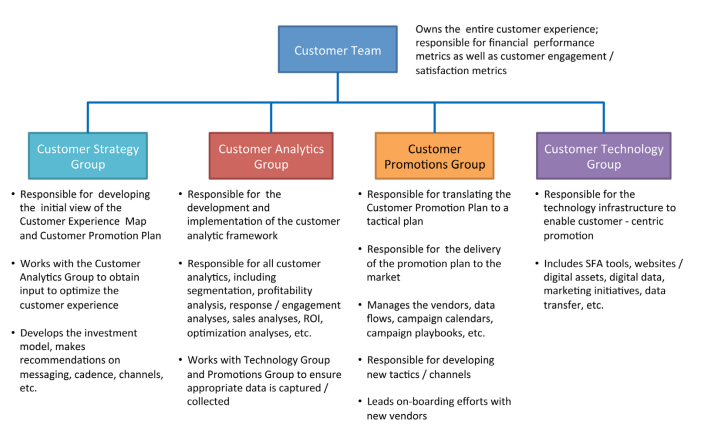 It enables team members to maintain alignment, in turn providing a streamlined brand experience to individual customers. It allows team members to collaborate on ways to solve problems, go about specific tasks, and provide a better overall service to their customers. It allows the various members of an organization to see the customer from various other perspectives. Unfortunately, none of this can happen when rigid silos exist within a company. Operational silos: When individual departments are narrowly focused on “doing their job,” and don’t pay attention to how their efforts play a role in the bigger picture. When operational silos exist, separate departments rarely communicate with each other unless they’re specifically told to do so. 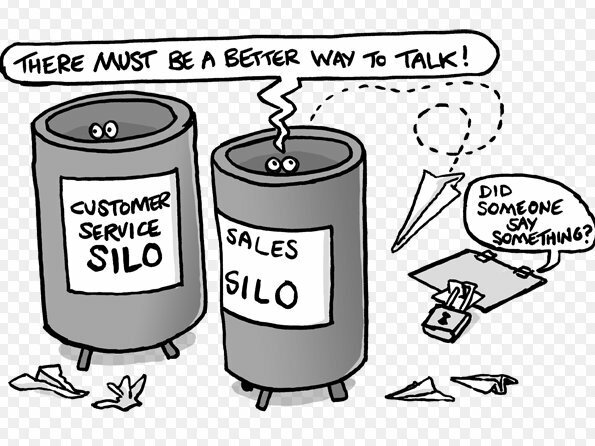 Channel silos: Channel silos happen when teams in charge of providing service and support to customers don’t communicate with one another, causing a disruptive experience for the customer. Hierarchical silos: Hierarchical silos are caused by having too much red tape throughout an organization’s processes—which, again, causes a disjointed experience for the customer. For example, if a ground-level employee has to ask their manager before solving a customer’s issue—even if they know the best way to go about solving the issue at hand—it’s the customer who ends up most frustrated in the end. First, you’ll need to revisit the structure of your organization, as well as the processes your company may have had in place for as long as anyone can remember. These teams should not be separate entities consisting of new team members. Rather, they should be more like committees, made up of employees from each of your company’s departments who can act as liaisons and help implement customer centricity within their own department. This leads us to the second phase of the process of dismantling silos: the mindset shift. When you begin to break down your organization’s various silos and restructure your departments (even slightly), you’ll need to also focus on actually getting all of your team members on board with the shift and helping them understand how their roles will change, or why these changes will make a difference. The overall goal when dismantling silos throughout your organization is to instill a sense of ownership and accountability within each and every one of your employees and teammates. That is, you need to ensure everyone understands that everything they do ends up affecting the customer experience in some way or another. In turn, each team member should begin to focus on performing their duties to the best of their ability—not because “it’s their job,” but because their efforts will end up benefiting the customer in the end. Cross-team communication and collaboration is central to providing an excellent experience to your customers. But, as we touched on in the previous section, the case may well be that your employees don’t understand how they can combine their efforts—especially if they’d never done so in the past. That is, it’s likely that a given employee in one department truly might not understand how someone in a different department can help them (or vice-versa), and therefore wouldn’t instinctively reach out to them. It’s important to address the notion of enabling communication in the first place: When it comes to enabling cross-team collaboration—especially when establishing new lines of communication—a number of blockers can arise. In literal terms, it’s likely that your various team members work in separate offices, buildings, or even countries. Needless to say, you’ll need to address this distance before moving forward (more on this later). Figuratively, blockers can exist in the form of the aforementioned red-tape, rigid systematic processes, and the more systemic issues among your team. This is why it’s so important for your team to have truly gone under construction (rather that just getting a facelift): You don’t want any holdovers from the “old way of doing things” prohibiting your team from becoming more customer-centric. You’ll need to train your team to communicate with one another for a variety of purposes, model this behavior in your own actions, and celebrate team members’ efforts to improve customer centricity. However, it’s often not enough to simply enable cross-team communication (in fact, your various departments have probably always communicated on some level). What’s more important, here, is that you make communication and collaboration essential throughout your organization’s various processes. Begin building communication into your organization’s workflows—this will enable team members to understand exactly what’s expected of them when communicating with other departments. While customer handoffs may occur throughout a given process, it should never be fully complete. That is, Employee A in marketing should know they’re not just able, but expected to help Employee Z on the support team at any given moment. Additionally, each employee should understand how they should be expected to collaborate with other departments—while still allowing for autonomy. Finally, you’ll also want to get in the practice of holding retrospective meetings upon completion of a project or task. The more able your team is to communicate with one another, the easier it will be for them to share ownership of the customer experience. Everyone on your team needs to know who’s responsible for accomplishing a given task, who they’ll be handing things off to, and how they can provide further assistance—even after the handoff has occurred. To clearly define your processes, you’ll want to invest in helpdesk software of some kind. This will allow you to define and systemize the process of providing customer service and support, from the opening of a ticket, through to the closing out of a given issue. Additionally, you’ll want to consider investing in (and/or spending more time with) project management tools in order to document and track processes internally. For example, Trello allows your entire team to gain both high-level and granular visibility of specific projects and initiatives. Again, this makes it easy for everyone to be on the same page, and opens the door for collaboration between departments at all times. There’s no shortage of tools available to help you facilitate direct communication within your company. 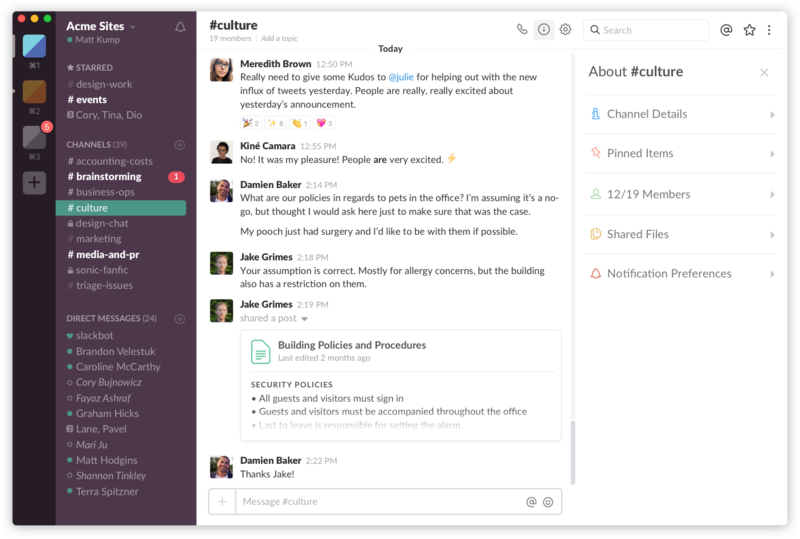 Slack, that darling of the SaaS world, is a good default. You’ll want to set up multiple channels based on different areas of focus, so that all involved team members can directly address and focus on specific issues at any time. Don’t neglect to set up a "water cooler" channel, which team members can use to chat with each other recreationally; the more familiar your various team members are with each other, the easier it will become for them to communicate for company-related purposes moving forward. You also may want to invest in a knowledge base software solution as a means of fostering collaboration and a sense of ownership over the customer experience throughout your organization. The creation of a knowledge base certainly isn’t a one-person job. Because an organization’s knowledge base needs to be as thorough and specific as possible (in the interest of educating its customers), team members from all departments should have a hand in creating specific documents within the database. It’s also worth noting that, while knowledge bases are typically created to provide information to customers, they can also be used internally, as well. That is, as your knowledge base becomes more and more thorough, the various members of your team will be able to rely on it to quickly and easily find the information they’re looking for at a specific moment. Again, in order to provide a streamlined and pleasant experience to your customers throughout their journey, you’ll need to invest in software and strategies that enable and simplify communication and collaboration for all company employees. The easier it is for your various departments to collaborate as they work to solve a customer-facing issue, the more natural customer centricity will become. As with any long-term goal, there are other obstacles and barriers along the path to true customer centricity. But by focusing on these overcoming these 3 challenges first and foremost will allow you to create a new foundation on which to build your newly-formed, customer-centric organization. With these fundamental principles and processes in place, your organization will become laser-focused on providing a superb experience to your customers—and will be able to continue making improvements to their customer-facing processes as time goes on. Josh Brown is a Customer Success Engineer at Helpjuice. Helpjuice provides easy-to-use knowledge base software that guarantees less support emails and more happy customers.